Because You Demanded It! 64 pages of lettering tips and tricks from the world-famous Comicraft studio. This full color step-by-step guide is filled to the brim with the wisdom — and wit! — of Comicraft founders Richard Starkings and John ‘JG’ Roshell. 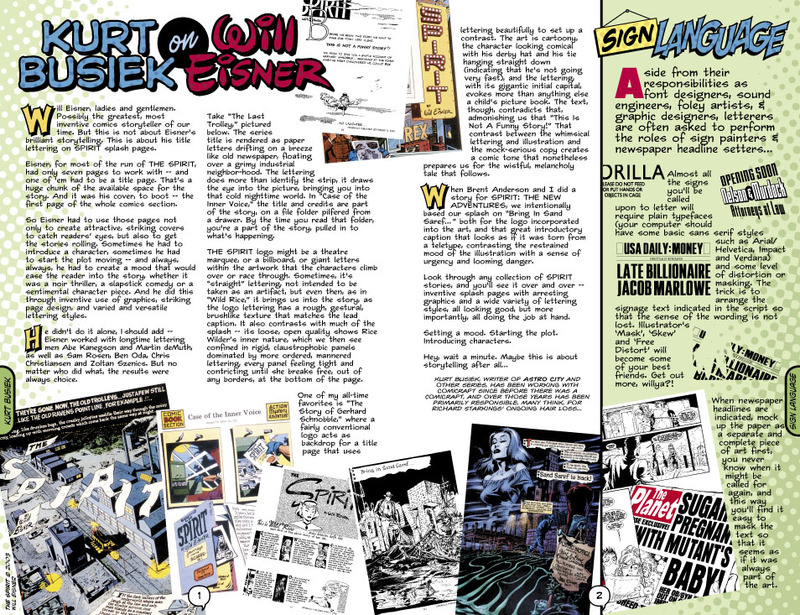 Step by Step, Comic Book Lettering the Comicraft Way guides you through the process of lettering a comic strip digitally. 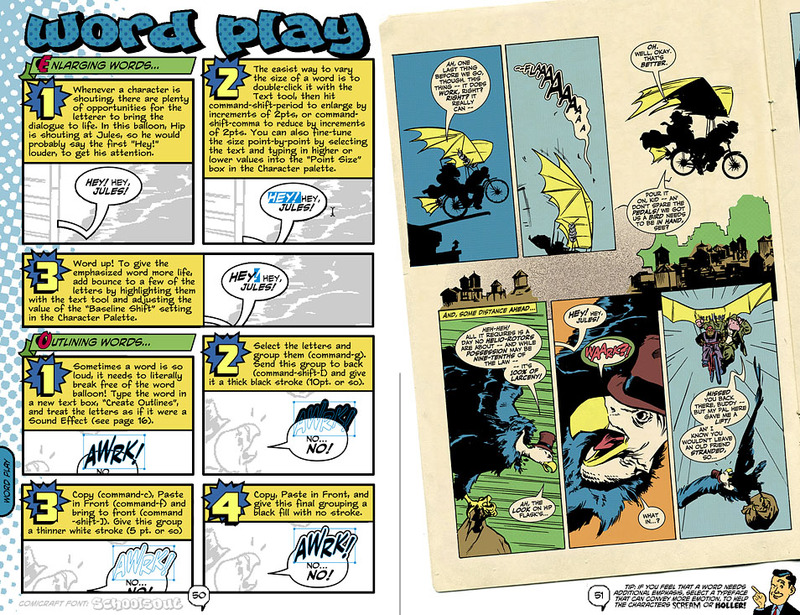 From font design to balloon placement, sound effects, signage, title page and publication design, the creators of The World’s Greatest Comic Book Fonts cover every conceivable aspect of comic book lettering. Lavishly illustrated by examples drawn from Comicraft’s first ten years as America’s premier comic book lettering studio, this manual is an essential tool for comic book creators everywhere. “The Comicraft guide is truly amazing in both design and content” — Daryl A. “Your book is never out of my reach as I try to master lettering. I just finished my first 21-page comic and I am pleased with it. I couldn’t have done it witout your help. Thanks!” — Jason M.
“I picked up the Comicraft lettering book and absolutely devoured it. I got a lot of great tips which I will use in my lettering. Beautiful design as well. Thanks!” — Sal C.
“I’d never even ATTEMPTED to letter before in my life, and within an hour, I was lettering. I came in completely blind, knowing zero about Illustrator, so this blows me away.” — Scott W.